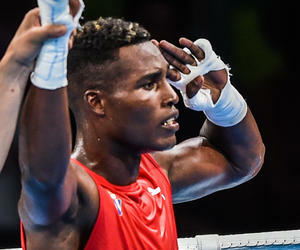 Cuban Julio Cesar La Cruz (81 kg) reached the final of the boxing tournament of Rio 2016 Olympic Games hosted by Rio. La Cruz, three-time world champion, defeated 3-0 French Mathieu Bauderlique and will face for the gold medal the winner of the match between the practically unknown English Joshua Buatsi and the lefty Kazakh Adilbek Niyazymbetov, London 2012 silver medalist. Turkish Mehmet Nadir Unal and the local Michel Borges were La Cruz´s previous victims in the contest, they both lost by unanimous decision.